How I installed a FTDI serial to USB adapter within ITC CN50 running Windows Mobile 6.1. Although the USB to Serial adapters with FTDI chips can be installed with drivers from FTDI, these will not work out of the box with WM6.1. First I copied the Armv4 driver files ftdi_ser.dll and FTDIPORT.INF to \Windows on the device. Then I started to try to communicate using COM10 (verified with registry). But there was no communication possible. The VCP test application did not list any port to open, so I entered COM10: (or SER0 for patched driver) but without success. Using the VCP PC drivers for WinXP the serial adapter worked fine, so the hardwware is not faulty. I also tested on CN3 (WM6.1) at the dock connector without the micro-USB cable. But this did also not work. Using this registry changes and after reinserting the adapter, I was able to communicate using the patched driver, where all COM was replaced with SER. Maybe the original driver will work too, it uses COM10 as port, where the patched driver uses SER0. Although the VCP Test application is not the best in regards of error checking (you can enter whatever you want for port and it always makes you think it was able to open the port), I include it here only for completeness. Update 23. march 2011: Anyone looking for a two port solution? Try the drivers provided by Handera (SD50). I have exactly the same problem with a Windows Mobile 6.1 on e PSION equipment named Workabout Pro. But no way to Run your VCP test tool…….the COM is always COM10!!!!! I replace de “COM” name in the INT file but the active driver is always COM10…..
the com port index is evalauated automatically and depends on the already used ports. If you can’t use this COM10, you may switch to a patched driver (available also with SER instead of COM). But this will only work for you, if you can use SER as prefix in your application. I added these entries to the registry. When these entries are missing do I need to make any other adjustments to the registry? My C# .NET application is unable to open port SER0 using the modified driver, and unable to open COM10 having installed the original driver. first try the VCP test tool. It will list the communications port that are linked to ftdi_ser.dll. If it does not find a port, there is still something wrong with your installation. Ta for taking the time on this, I was looking everywhere for something similar, but this is just as helpful. Do you have a copy of the patched driver that will still use COMx and not SERx? 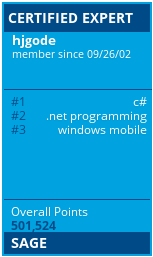 I’m a linux guy trying to get something working on Win Mobile. The patched driver above seems like its working for my FTDI usb-> serial adapter on my pda – but the app i need to use doesn’t look for SERx – just COMx. and then do the same within the inf file. BTW: WinCE CabManager runs fine within Wine on my Ubuntu. I’m happy to read this post, while having the same problem with this FTDI adapter. But in my unit I have to store the driver and additional inf file manually into a folder otherwise than \Windows cause \Windows will be overwritten on every reboot. So I would ask you for the .dll and .inf not packed into cab. I’m a newbee to WindCE (don’t have Windows Mobile unit) and having the same problem with this FTDI USB2SER adapter. My unit is Car Entertainment System with Radio, Audio-Player, built GPS Navigation running all apps on WinCE6.0. So first I need the dll and the inf file native, not packed in cab. Second I don’t understand why do you changed the prefix COM to SER in the patched driver ? as you see, your comments will reach the board, but I have to approve all first time poster (due to avoid spammers). Please go to http://www.ftdichip.com/Drivers/VCP.htm and download the driver from there (DLL file). Then go on and use the documentation and the inf posted here and at ftdichip.com to change it to your needs. Although windows ce 6 may support another driver load dir, this depends on the decision of the OEM. There may be a syscache or other named dir in persistent storage area to provide additional drivers. Sorry, but you have to find it yourself (search the registry of the device). Device on WinCE 5 (arm926) + USB-to-2COM (2 COM ports). Approached the driver FTDI_driver_COM.cab from this page. There is only one COM port. I dont know your device and the description here is a dump of what we got and changed to get it working. I also got a working solution with two serial ports and only need to use Handera’s driver for the CN50 Vehicle dock. Possibly you have success with that too. Next time you should provide more details. There is much background information missing. How many ports are already occupied, what does the registry show about active drivers etc, etc…. 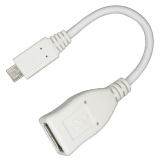 Anyone have experience getting ActiveSync 4.5 to run using the US232R-100 USB-to-RS232 adapter cable? Connecting a PC (XP) to a WinCE5.0 device, I can get ASCII data xfer using HyperTerminal(PC,RS232 port COM1)-to-CEterminalprogram(USB host port) when the FTDI driver registry setting “InitialIndex” is set to COM0 (default) or another unused COM port – have verified ports 0,6,7. Have added registry settings and ftdi_ser.dll to the BSP image, so they survive a reboot. However, have not been able to open an ActiveSync connection. When the adapter cable is attached to the CE box, the blue LED on the cable flashes a couple times and a pop-up shows “USB Serial Status. Connecting to host”. The PC side continues to show “Not connected”. Per another discussion thread, tried to configure a “direct connection” using “Network and Dial-up Connections” wizard on CE, but it will not show COM0,6,7 or in the dropdown, only “COM4:” and “Serial Cable on COM1:”, which are defined by other drivers on the device. Appreciate any info useful to this setup, or suggestions for alternatives, other adapters, etc. I’m using an UC232R-10 FTDI USB-serial adapter, trying to work with it under WinCE7. 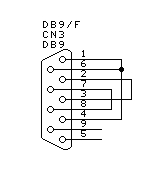 I installed the VCP x86 WINCE6 driver from the FTDI website, and then I have followed what is written in the codeplex FTDI website . I can see all the appropriate keys in the registry of my panel pc with WinCE7 (the device is associated with COM0), but it does not work. With a Visual Basic application I try to open COM0 but the application stops. If I connect the RX and TX pin of the DB9 to an oscilloscope I only see 0V, while, even without transmitting, I should read a certain voltage (in fact I can see this voltage on the tx pin of the COM1). best is you contact the vendor of your special CE7 device for support. I need external CF card reader and SD card reader for CN51 via 851-093-201 desktop power adapter. I want to try Digikey H11576-ND and USB CF-SD card reader. any body tried this. the CN50 supports USB OTG and USB host and client. I did not test this, better you ask about experiences at the intermec developer community: community.intermec.com. I’m sorry but I don’t mean to abuse your thread. But I don’t know who I can turn to. We use FTDI_ser.dll on CK71 windows Embedded Handheld Class 6.5(CE 5.2.29077, build 29077.5.3.12.10). Connecting through the vehicle dock, using a startech usb to two-com ports adapter. One is our own device, the other is PB31 printer. The driver can pick up the 2 COM ports that we want. However, if we power up the CK71 in the vehicle(our main use) or desktop dock, it does not pick up the COM ports. We have to undock the handheld and redock in order to trigger something to pick up the COM ports. I’m wondering whether you can give me some direction. I don’t have any clue whether it is the driver or the OS. Anyway, does anyone know whether I can configure CK71 to pickup the ports from a cold boot or force ck71 to re-enumerating the USB/COM ports. look at http://www.hjgode.de/wp/2013/12/07/windows-mobile-some-logging-tools/ on how to watch for device attach/detach message and then try enumerating the com ports again.